Ellen… I am already so impressed with all you and Brian have done over these last several years. And ~ you have the dogged determination and love for Catherine to get results! I look forward to hearing how your chart works out. Thanks Bambi. My friend in the story already sent me some new ideas for it! I’m just curious, but when she had the sleep study did she have any episodes? When I had my head injury, I had a 4 day stay at the epilepsy monitoring unit at Sinai. Apparently they are the best in the area at confirming or ruling out entirely seizure activity. Dr. Jay Foreman is the guy to see there. Hi Jay! Thanks for the tip. No, she didn’t have any “episodes” during her sleep study. That’s part of the the frustration. But look at all that garbage on her! 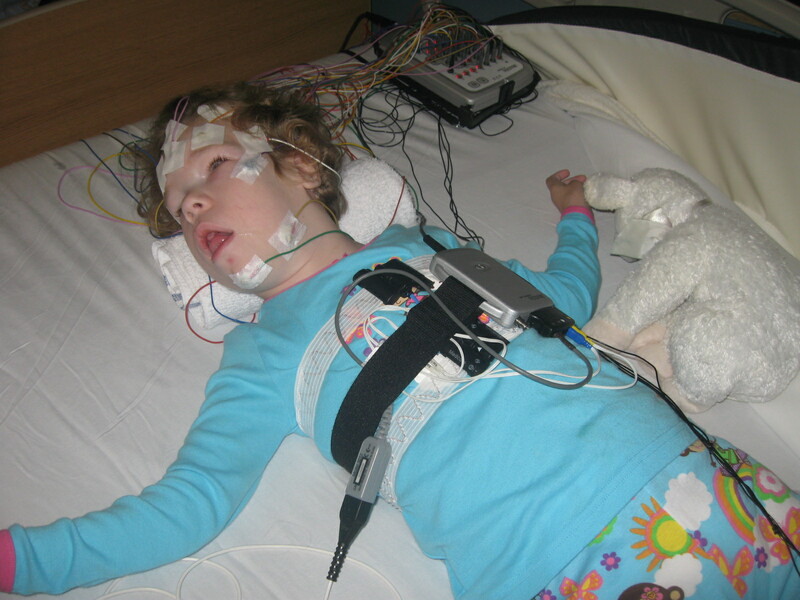 Docs are considering another sleep study. I’ll mention this to Brian and see if maybe we want to check out Sinai. Ugh – the intake on the medical history exhausts me just thinking about it.